We are happy to announce that ecomdash has been distinguished by FinancesOnline, one of the most popular SaaS software review platforms, with their Expert’s Choice Award for 2016. 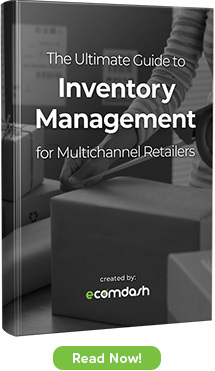 The B2B software experts who prepared our review were particularly impressed with how well ecomdash can handle complex inventory needs and that we offer the flexibility to list products on various sales channels through our in-suite ecommerce listing tool. According to the review team, the award indicates a profound understanding of the problems and needs our customers face and offering efficient solutions to them solving the common problems they face every day. They also highlighted the flexibility and affordability of ecomdash pricing. Ecomdash also won the Great User Experience Award for the top inventory management software, which signifies that our service provides tools that are simple, intuitive and able to effectively improve work in a company. In their justification for the award the review team underlined the fact that ecomdash simplifies complex inventory processes and automatically handles quantity updates, which allows retailers to sell on more marketplaces and manage all of their stores from one central screen. We’re thrilled to be honored with these awards, and view this as a testament to our mission. Our goal is to provide comprehensive, affordable software that helps small-medium businesses scale and compete online. Being recognized for staying true to our core mission encourages our team to continue working hard providing for our customers.